Why Georgia? There’s strongly suggestive evidence that the 2002 senatorial election in Georgia was stolen. That was the first election in which Diebold DRE (Direct Recording Electronic, usually touch-screen) voting machines were used statewide. The Ohio Republican Party has escalated its attacks on democracy on two key fronts. 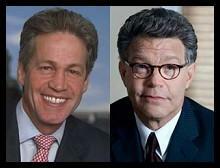 It’s trying to steal a hotly contested Congressional seat. And it’s moving to restrict voting rights for coming elections. As the sun sets on Bush 2, it is clear that a very thin line of electoral protection preserved Barack Obama’s victory in Ohio—and the nation. I grew up in what I call “The First Free-Range Organic Christian Church of Homer.” Sundays brought a message, fellowship, and a line of repentant souls taking communion-a remembrance of sacrifice. 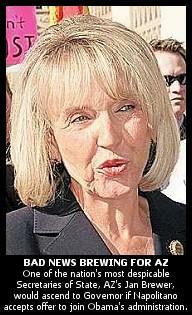 Was Prop 8 Fixed by Religious Zealots? Was California’s Anti Gay Proposition Fixed by Religious Zealots? 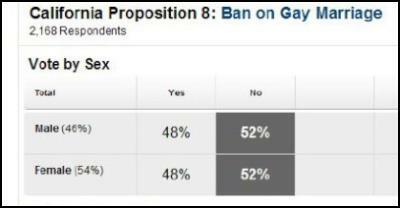 Early evening, Nov. 4, exit poll showing Prop 8 going down to defeat. 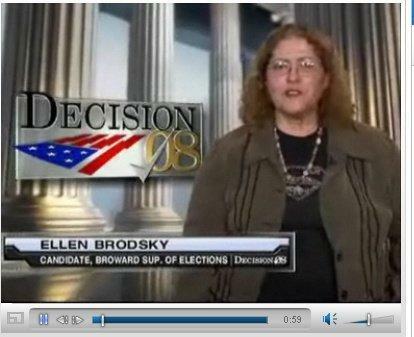 Ellen Brodsky, long time election reform advocate was a candidate for Broward County Secretary of Elections. An employee of her opponent and winner in the Supervisor of Elections had Brodsky arrested. 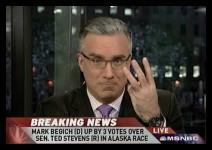 Breaking: Begich Takes 3 814 Vote Lead Over Stevens In Alaska’s U.S. Senate Race! 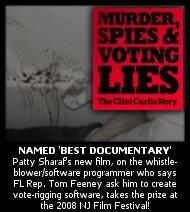 Patty Sharaf’s explosive, new election integrity film, Murder, Spies & Voting Lies: The Clint Curtis Story , has been named “Best Documentary” at this year’s New Jersey Film Festival! Congrats to Patty and crew! 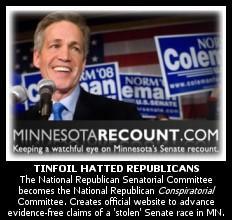 Mark Halvorson is the director and co-founder of Citizens for Election Integrity Minnesota (CEIMN). In 2004, he traveled to Ohio to observe the recount. MD’s Chief Election Official, Linda Lamone Rips off Mic During Pointed Queries About Her State’s Failed Touch-Screen Voting System. The Democrats, as usual, have only themselves to blame. But we’re still happy to help both them and the Republicans if it means the voters might see their votes counted and counted accurately. All 185 of the completely unverifiable Diebold touch-screen voting machines used in Northumberland County, PA’s election were ordered impounded by a judge Tuesday night after complaints from both the Republican and Democratic parties. US Election ’08 – A Historical Turning Point? Verify. As the 2008 election comes to close, swing states may find voting is needlessly complex — and that is before any ballots are counted. California Republican Party’s sponsorship of the firm YPM is an voter fraud oak tree compared to the innocent ACORN.